APA's applied research program draws on the expertise of staff, APA members, allied professionals, and partner organizations to identify, evaluate, and disseminate local and regional solutions to challenges associated with community growth and change. Research activities at APA are supported by grants from foundations, nongovernmental organizations, and government agencies, as well as subscription revenues and member dues. Most sponsored projects involve collaboration between our in-house research staff and outside researchers, authors, or academics. This work results in the creation of resources such as best practices guidance manuals, PAS reports, webinars, symposia, and training workshops. 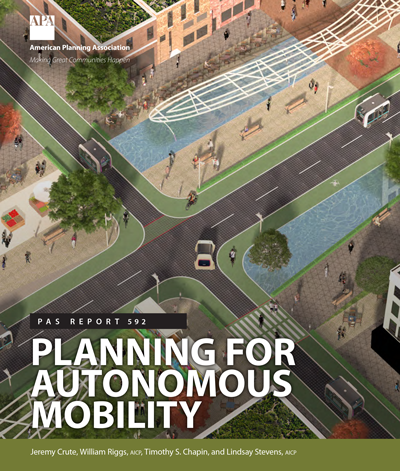 APA and its partners, along with 85 of the nation's top thinkers on AV, have developed a playbook for cities and regions to maximize the benefits and minimize the potential negative consequences associated with the deployment of autonomous vehicles. APA's sponsored research efforts bridge the gap between theory and practice, providing evidence-informed guidance, educational opportunities, and place-based support. The National Centers for Planning conduct applied, policy-relevant research to identify, evaluate, develop, and disseminate best practices that address critical issues for the planning profession. The Green Communities Center advances practices that improve environmental quality, address climate change, and reduce developmental impacts on natural resources. Research priorities include green and blue infrastructure, green energy, and green transportation. The Hazards Planning Center advances practices that promote resilience by reducing the impact of natural hazards on communities and regions. Research priorities include hazard mitigation, post-disaster recovery, and climate change adaptation. The Planning and Community Health Center advances practices that improve human environments to promote public health through active living, healthy eating, and health in all planning policies. Research priorities include active living, food systems, and health in all planning policies. Research staff lead and provide support for a number of ongoing APA programs, many of which stem from the initiatives and priorities of APA's elected leadership. 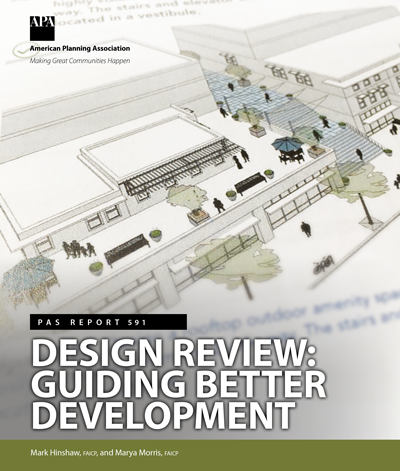 Through this initiative, APA defined a set of principles to guide comprehensive plans for sustaining places, and developed these guiding principles into a set of recommended planning practices to serve as a resource for the preparation of local comprehensive plans. The Sustaining Places Initiative is a multi-year, multi-faceted program to define the role of planning in addressing all human settlement issues relating to sustainability. The mission of the Water and Planning Network (WPN) is to provide a professional forum for the interdisciplinary exchange of ideas and planning methods and will operate as a communications and information sharing network to connect members to the best planning practices that reflect current research, science, policy and technology regarding the protection, management and use of water resources and utilities. APA has detailed information and resources resulting from more than 50 research projects undertaken since 2003. APA and its partner organizations are developing a playbook for cities and regions to maximize the benefits and minimize the potential negative consequences associated with the deployment of autonomous vehicles. APA and ASFPM are working to mainstream a variety of techniques to help practitioners incorporate climate, flood, and hazard data into local and regional capital improvement plans. They are working with regional partners in Savannah, Georgia, and Toledo, Ohio. APA is part of a collaboration that is developing planner-friendly tools, vetted by the public art field and APA's Arts and Planning Interest Group, to increase planners' competencies in working with artists on creative placemaking projects. APA, the Chicago Metropolitan Agency for Planning, and the University of Illinois are working with five pilot communities in the Chicago metropolitan area to find ways to incorporate sound climate science into their local planning efforts. In this FEMA-funded project, APA and its partners are producing online models and tools for community visioning and scenario planning for post-disaster recovery. Digital Coast is a partnership with NOAA to review new planning tools for coastal communities, assist in using and accessing those tools, and in helping advance coastal zone management policy. In cooperation with the Association of State Floodplain Managers, APA is conducting a series of quarterly webinars for practitioners on hazard mitigation planning and its connections with recovery planning and preparedness. An APA and U.S. Forest Service collaboration on regional green infrastructure planning at the landscape scale and the associated needs and opportunities. The Urban Climate Action Network is a national climate change youth corps created to empower high-school aged teens and their communities to address climate change in their communities by providing leadership training, technical assistance from scientists and experts, and the resources of a national network. 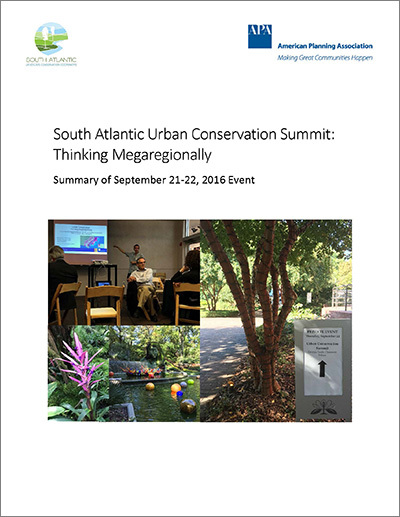 This project is a collaboration with the South Atlantic Landscape Conservation Cooperative to improve the utility and utilization of the Conservation Blueprint within populated areas for the mutual benefit of the planning and conservation professions. This five-year effort developed technical tools, educational resources, and professional development guidance to enhance opportunities for pursuing health-oriented planning. 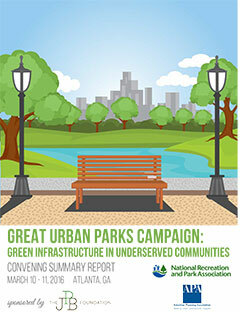 APA completed a project with the National Recreation and Park Association and the Low Impact Development Center to improve environmental and social outcomes in underserved communities through green infrastructure in local parks. Through an overarching collaborative strategy that brings together members of APA and the American Public Health Association, this project is building local capacity to address population health goals and promote the inclusion of health in non-traditional sectors. This project targeted 20 urban and rural communities across the U.S. that are significantly underserved by the nation's food system. 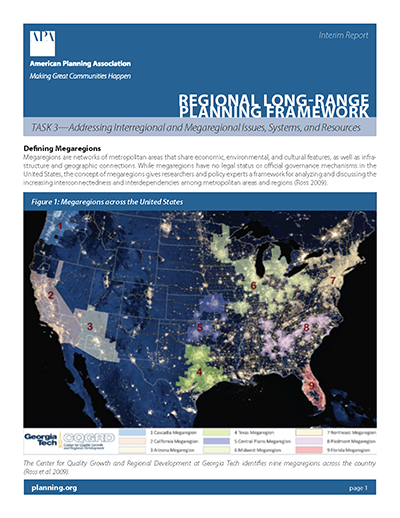 Through this project, APA developed policies, strategies, and implementation tools for local governments and regional agencies to address megaregional issues in long-range comprehensive planning. The Nature Conservancy worked in partnership with the APA and other organizations to develop a green infrastructure siting guide for municipal leaders and staff responsible for community planning, floodplain and stormwater management, and redevelopment activities. 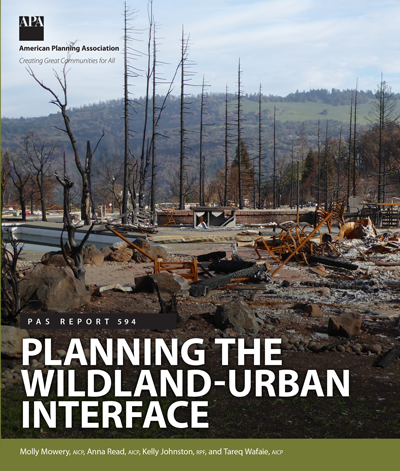 In this FEMA-funded project, APA revamped a 1997 PAS Report to incorporate new issues and knowledge that have developed over the past two decades. Through a partnership with Active Living Research, this project examined how different street features can promote physical activity, with special focus on economic and social outcomes. The Built Environment and Public Health Clearinghouse is a resource for training and relevant news about the intersection of health and place that offers both academic and professional training resources. This series of briefing papers illustrates how planners use arts and culture strategies to achieve economic, social, environmental, and community goals. This three-year initiative involved community development leaders, community members, and others and resulted in a guide to redeveloping brownfield sites. We are facing a new era of defining what constitutes a park. No longer seen as simply grass and trees, parks provide a multitude of benefits to their users. APA and the National Disaster Preparedness Training Center developed a FEMA-certified course to help individuals and organizations develop a strategic planning process for implementing pre-disaster recovery plans. The effects of policies, practices, and environmental factors on youth diet and physical activity. Working with the Coastal States Organization, APA's Hazards Planning Research Center produced a PAS Report on coastal zone management. Discover policy and implementation practices that are helping to create complete streets in communities across the country. For planners and building officials, signs are but one component of the complex built environment. And planning for and regulating signs is just one aspect of a city or community design program. APA's Hazards Planning Research Center published a PAS Report on best practices and case studies in drought planning, working with the University of Nebraska's National Drought Mitigation Center and the National Integrated Drought Information System. This project engaged planners in thinking critically about what makes a family friendly community, what's currently being done, and what opportunities are there to create more friendly communities. 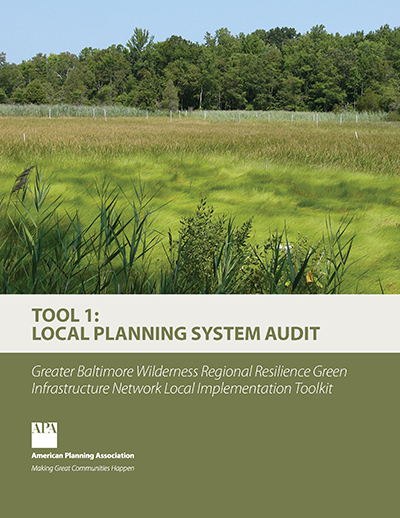 Through this project, APA and its partners developed a regional green infrastructure decision-support tool, a toolkit to guide local policy and implementation, and provided planning assistance for two pilot projects in central Maryland. States and their local governments now have new practical tools available to help combat urban sprawl, protect farmland, promote affordable housing, and encourage redevelopment. Learn how to integrate best practices in hazard mitigation into all forms of local plan making and planning activities. APA hosted a scoping session under USDA Forest Service sponsorship to discuss ways to reduce disaster-caused damage to the urban forest. Several federal agencies and other national nonprofits participated. APA's Planning and Community Health Center completed a project to further the education, training, and development of Health Impact Assessments (HIA) as an integral part of planning practice to integrate the use of HIA into plans and policies that shape the built environment. In 2003, a partnership between APA and the National Association of County and City Health Officials began to restore the bridge between land-use planning, community design, and public health practice. Everyone needs housing — a place to live, a place to call home. But the realization of safe, decent, affordable housing is becoming increasingly difficult for more and more individuals and families. In this HUD-funded and NOAA-supervised project, team lead AECOM partnered with APA, NACo, and ASFPM to develop models for integrating resilient hazard mitigation planning into local comprehensive plans. The LBCS model extends the notion of classifying land uses by refining traditional categories into multiple dimensions. These multiple dimensions allow users to have precise control over land-use classifications. In the last decade, the paradigm of smart growth has prompted many communities to improve the physical design of downtowns and neighborhoods. A PAS Report, a database, a reader, and other resources provide information on integrating energy and climate issues into planning. APA's Planning and Community Health Research Center is identifying and evaluating plans that address community-based food systems. A multi-year research study to identify and analyze the plan-making processes and the health goals, objectives, and policies of local comprehensive plans across the U.S.
An update and overhaul of the classic PAS Report Planning for Post-Disaster Recovery and Reconstruction, incorporating numerous planning lessons learned from the last 15 years of dealing with major disasters. Wildfires are increasing in frequency and severity as more people move into areas where developments meet or intermingle with undeveloped wildlands. Planners need to adopt a green infrastructure approach and incorporate trees into urban plans. Learn how to develop an urban forestry program that reaps the many benefits of trees. In partnership with the Centers for Disease Control and Prevention, this two-year study resulted in a set of tools that integrate health into plan implementation with a focus on creating guidelines for site plan review and subdivision. How do we amend our ordinances to advance smart growth? From September 2010 to July 2016 APA worked with its partners to provide outreach, training, and technical assistance to local and regional governments to make it easier for residents, businesses, and property owners within their jurisdictions to use solar energy. 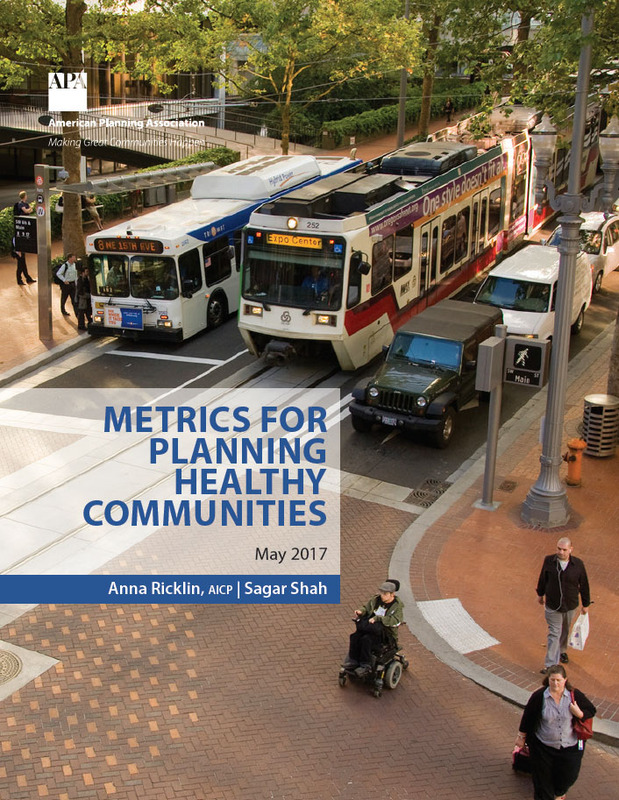 The Planning and Community Health Center developed a set of applied tools to incorporate health into development review, comprehensive planning, safe routes to parks, and green infrastructure. In early 2005, APA contracted with the Transportation Research Board to produce a Synthesis Study on Tribal Transportation Programs. Research that resulted in a Planning Advisory Service Report on the role of planning practice in developing and sustainable urban agriculture to support economic, social, and environmental goals. A census of local planning activity in jurisdictions that contain priority conservation areas. Cutting-edge research in urban and regional planning requires a close working relationship with planning practitioners, academics, partner organizations, and funders. 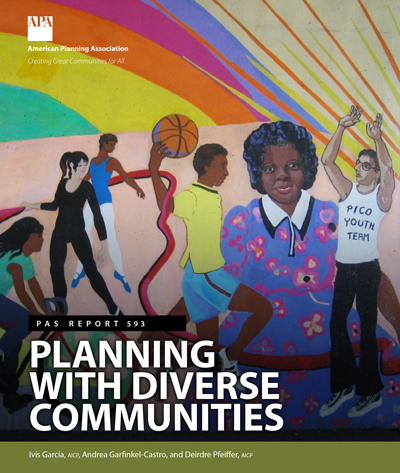 Collaboration also makes it possible for other organizations to have their research results reach APA's diverse audience of professional planners and planning commissioners. Moreover, APA's research agenda is supported by the great ideas generated from our members and partners across the country. APA welcomes the opportunity to collaborate with organizations that have similar or complementary interests. The Research KnowledgeBase connects APA members to curated collections of topically related resources. Each collection includes commentary and a collection-specific search tool. Through the Inquiry Answer Service, you can request customized, on-demand research at a rate of $125 per hour. You can also purchase a bundle of 25 hours at the discounted rate of $2,500.